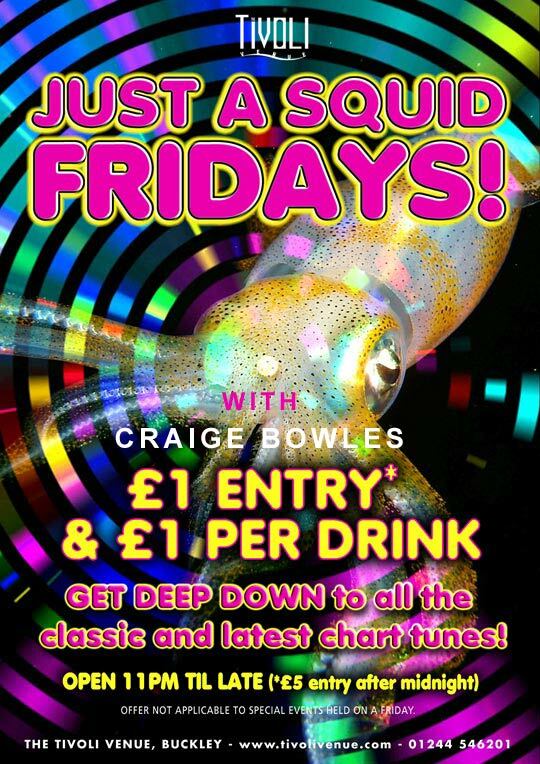 Get down to our JUST A SQUID FRIDAYS! Admission is just £1 (or £5 after midnight) and every single drink you buy will also be just £1, ALL NIGHT!! Enjoy the best Party in the area from 11pm til late at the cost of next to nothing and go home feeling flush!! This promotion does not apply to Fridays where a special event is taking place. Keep an eye out on our Facebook page for JUST A SQUID FRIDAY announcements!